Made by Carlino, a leading Italian maker of fine quality children's socks, these darling little white knit cuffed socks have tiny pink dots. They are the perfect choice for your newborn or baby girl. 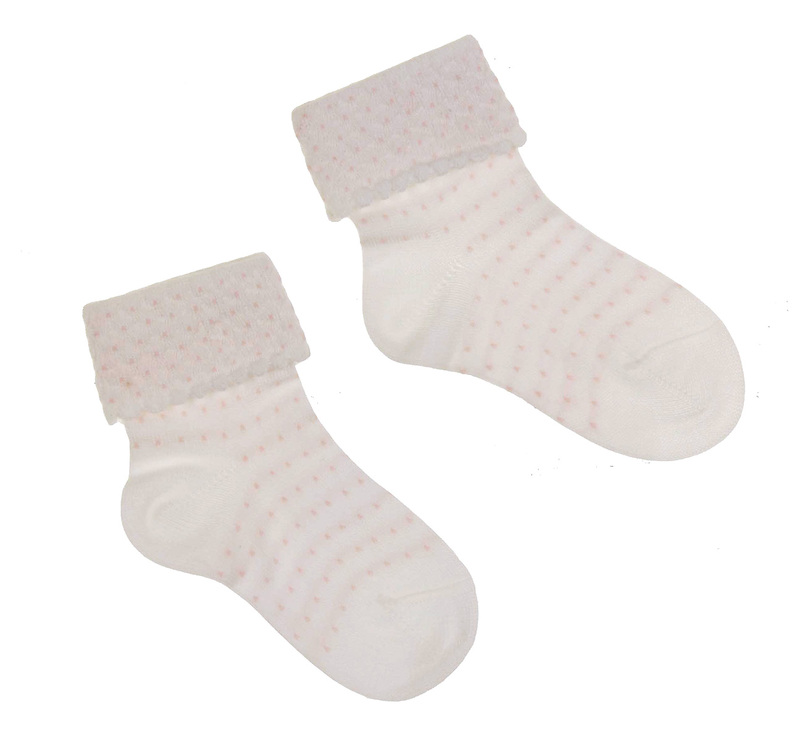 Made of cotton nylon blend, they are so finely knit that they feel like silk knit. Perfect to wear with any attire! Note: These sweet little socks are also available with red dots or with navy dots. See below. Grammie's Attic has an extensive selection of beautiful socks for your baby or toddler boy or girls including christening socks, knee socks, lace or eyelet trimmed socks, nautical socks and holiday socks from well known makers including Jefferies and Carlino. 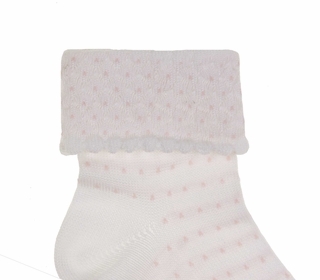 Be sure to see all of our lovely cotton and cotton blend socks for ever day and special occasions.